First off I want to say that I have love the first two books The Hunger Games and Catching Fire. 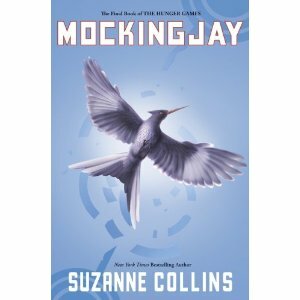 I read Mockingjay and was drawn into the story just like the first two books. Suzanne is a great story teller. I get sucked into her books so quickly and never want to put them down. I felt that she could have futher developed the reasons Katniss chose who she did to be with. I don't like to guess why. I understand why Katniss chose who she did, but that is not who I wanted her to be with. That being said I was disapointed in that part of the book. I felt that Suzanne really rushed the ending and it bothered me a bit. I did like the twist near the end that I did not expect. I was a little disapointed but I am content. Over all I would buy this book again and recommend it and the series. I will be reading this series again.